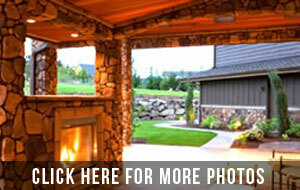 Patio Creations installs Woodland outdoor fireplaces and firepits for your outdoor kitchen, backyard, or patio. These fireplaces and gas firepits draw people to the warmth they create. Our Woodlands outdoor fireplace designs are striking statement pieces. They can be integrated with an outdoor kitchen or built as a stand-alone structure. A Woodlands outdoor fireplace can also be attached to the porch wall. Woodlands Gas firepits are popular nowadays. They cost less and are compact enough to fit small outdoor spaces. Patio Creations will customize your Woodlands outdoor fireplace based on your preferences. Pre-fabricated Woodlands outdoor firepits for gas or propane are available.